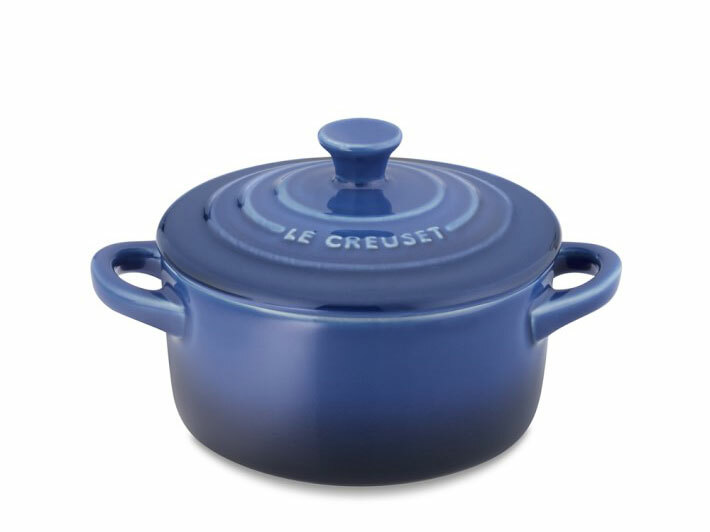 Some of our favorite big casserole dishes and bakers at all sizes and price points. Whether we’re making a quick and easy weeknight lasagna or prepping Thanksgiving dinner for 20, a casserole dish is our go-to piece of equipment. These heavy-duty ceramic and glass dishes conduct heat evenly and retain heat longer than metal, making them perfect for bringing right to the table or transporting family favorites to a relative’s house. From a monster baking dish that can feed a crowd to individual cocottes fit for one, there is a dish to tackle every cooking task. To make sure you are ready for any recipe that your holidays and weeknight responsibilities might throw at you, here are ten of our favorite dishes and bakers, and the best casserole recipes to make in them. This hulking baking dish measures about 10-by-15 inches. The extra capacity is perfect for roasting a small turkey or a casserole for 8 to 10 people. Try it out with this decadent Tomato, Chard and Gruyere Casserole layered with toasty sliced bread. 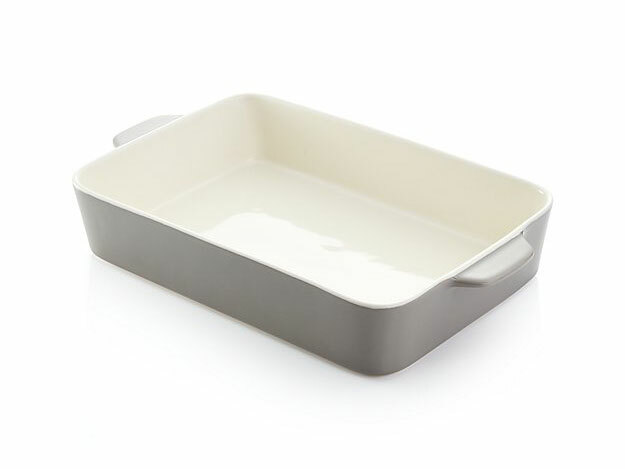 Also, the Avery baking dish’s sleek lines and sophisticated grey color make it table ready. 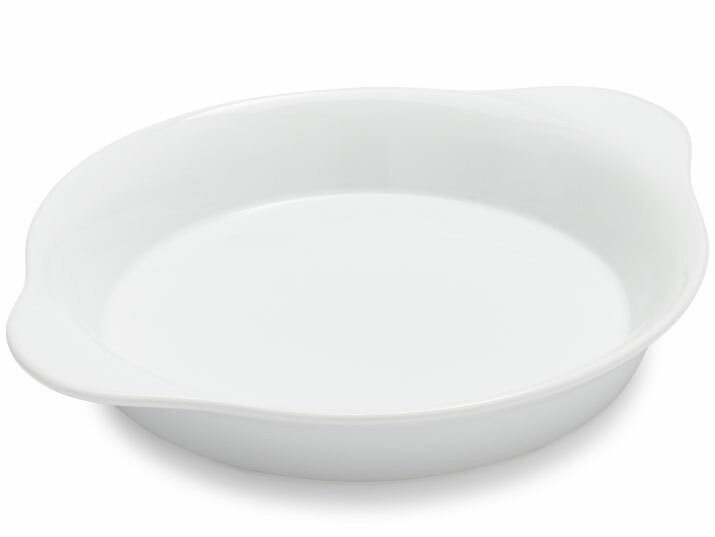 Revol makes some of our favorite baking dishes. The modern silhouette is lightweight and not too bulky and lets the food inside shine. 9-by-13-inches is a pretty standard casserole size and what most recipes will call for. Use it for scalloped potatoes or this Lemony Crepe Casserole, which will really stand out in this clean white baking dish. Use these petite cocottes for serving individual portions of baked fruit crisps, soufflés, pot pies or even cheese topped pastas (we’re craving this Mac-and-Cheese with Cracker Crumble). The 1-cup capacity is the same size as a standard ramekin, but these cocottes come with a little lid to keep your food warm. Pro tip: use them for your first-course soup. The lids keep the soup warm as you are bringing everything to the table (and prevents any spillage). Instead of making one large casserole, consider individual dishes. These 12-ounce gratins are ideal for baked eggs or these Mini Shepherd’s Pies. They are able to withstand high temps in the oven and can go right in the dishwasher. 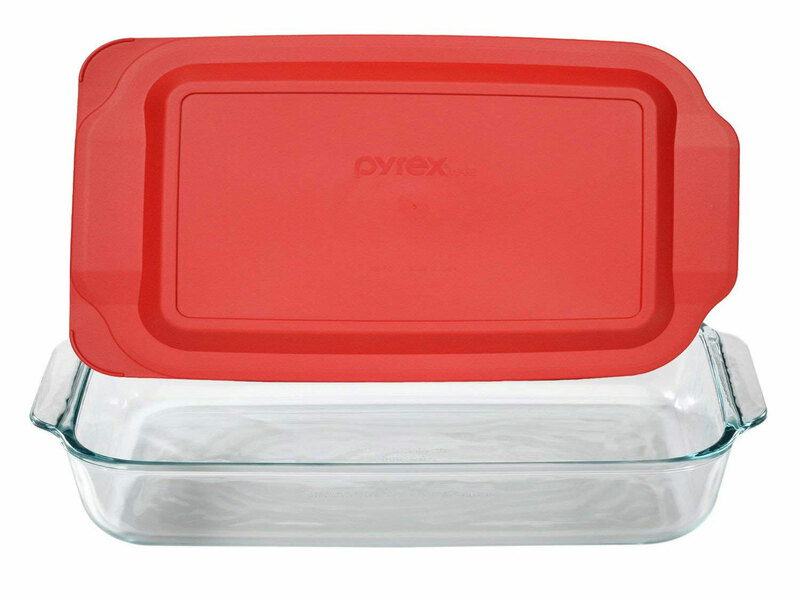 Pyrex baking dishes are affordable and practically indestructible. If you’re looking for a dish that can be used to bring brownies to a potluck or deliver comfort food to a sick friend, this is your new go-to. It even has a plastic lid that you can pop on the top to avoid any drips or spills. Try it out with this beyond-easy Plum Cobbler. Note: Recipes call for a baking dish in quarts and by their dimensions. 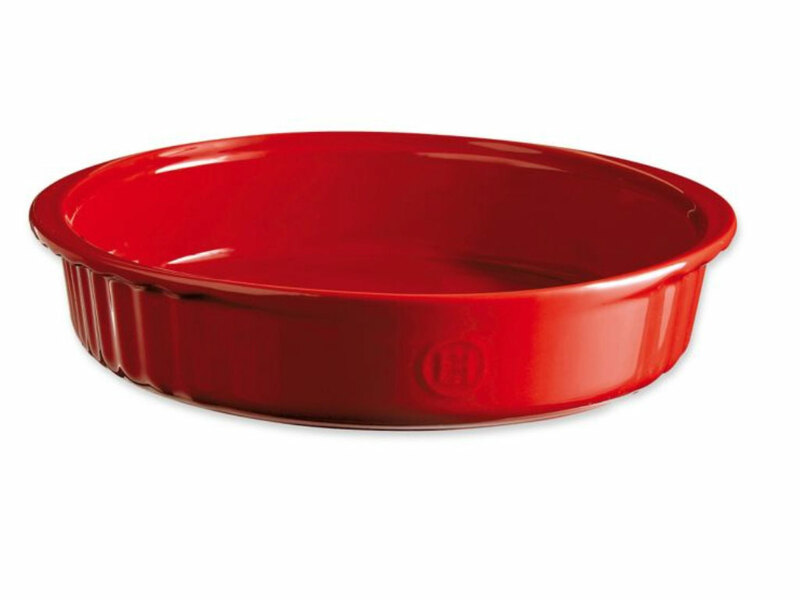 A 9-by-13-by-2-inch baking dish has a 3-quart capacity and is the most common size. Each piece of Emile Henry bakeware is crafted and inspected by hand. You can expect long-lasting durability from these baking dishes: they are scratch-resistant, microwave safe and can withstand up to 500° in the oven. Use this iconic 2-quart dish for dips, desserts and baked side dishes like this Mashed Potato Casserole with Sage and Fontina. 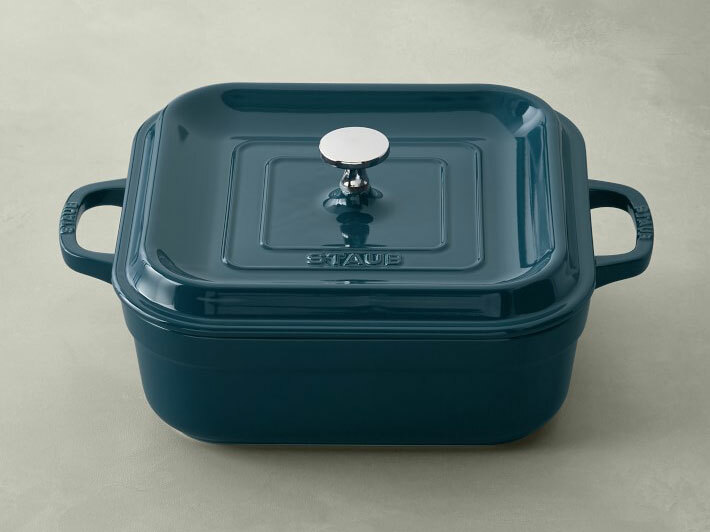 Staub products are a financial investment, but they are carefully made out of enameled cast iron and will last you a lifetime. 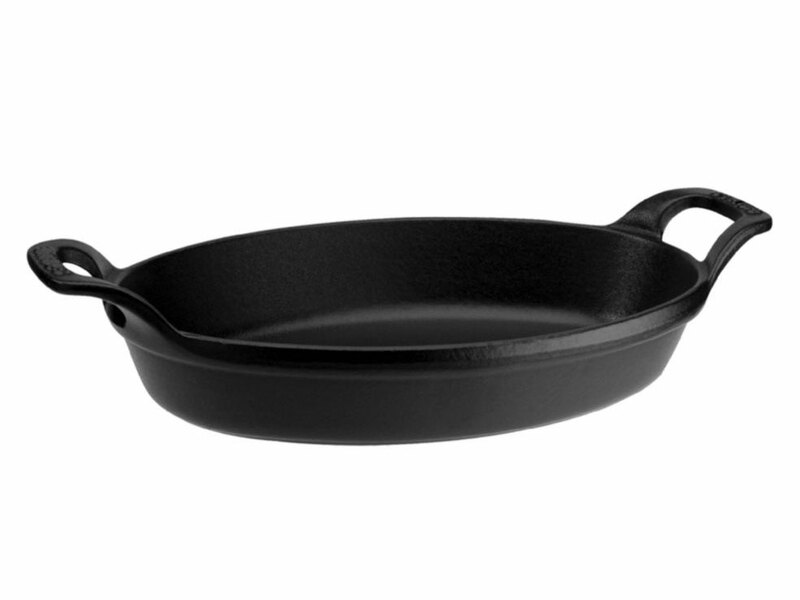 We love this matte black baking dish for its timeless design and modern rusticity. Use it for this Sesame Bagel Breakfast Casserole – it’s elegant enough to go right on the table for Christmas Morning or Easter brunch. 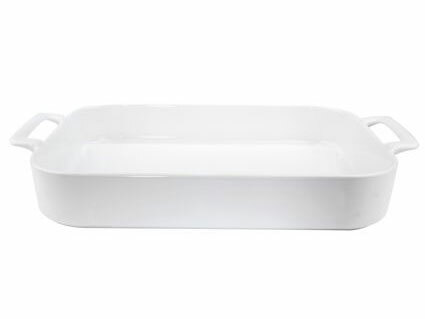 This centerpiece-worthy baking dish from Libbey is our new favorite. 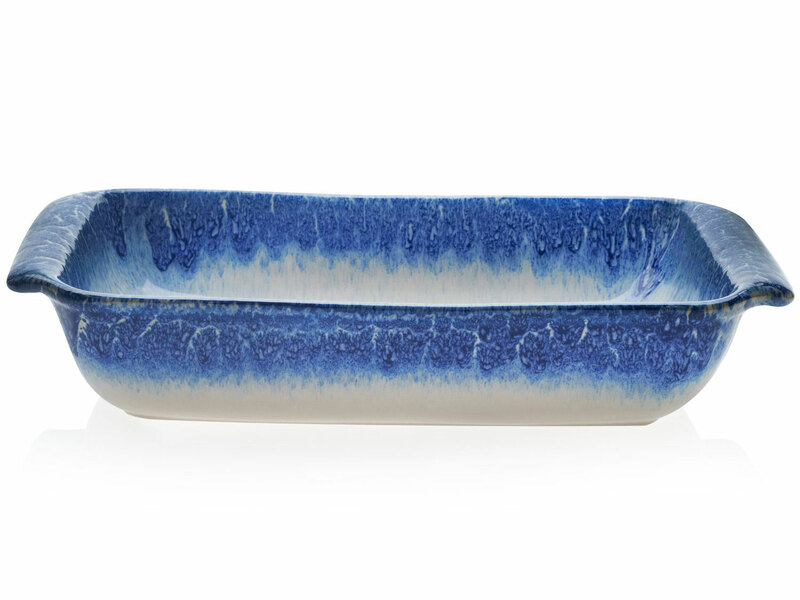 We love the bright blue colors and the natural streaking of the glaze – it makes any tablescape. It also has enough capacity for a large breakfast casserole or this Free-Form Sausage-and-Three-Cheese Lasagna. Another multipurpose baking dish from Emile Henry, this 10-inch round baker is great for crustless quiche, a fruit-studded clafoutis or a baked dip for your game day snacks. Try it out with this New England Style Crab Dip with Brown Butter Crumbs. It’s also microwave-safe, so you can zap any next-day leftovers for a quick snack. 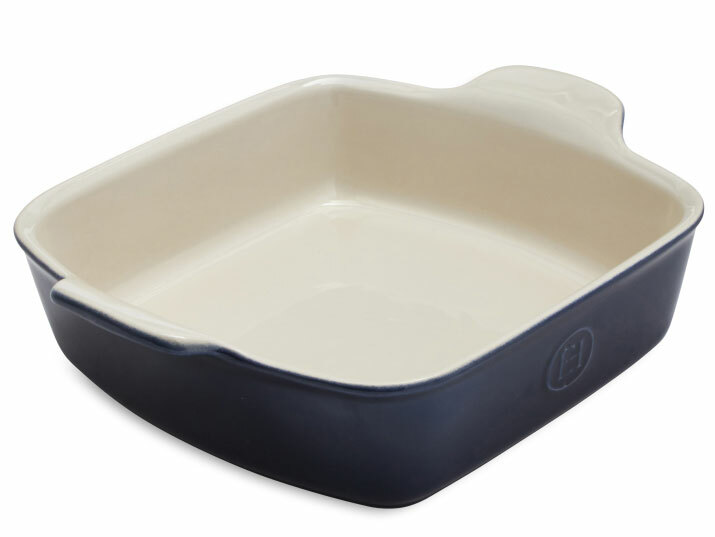 We are crushing over this elegant baking dish from Staub. The chic blue-green “La Mer” color is giving us major kitchen inspo! If you’re in charge of contributing a side dish for your holiday feast, bake it up in this covered baker. The heavy-duty lid will keep your food warm in transit and the thick-walled stoneware will retain the heat. This Truffled Polenta Gratin is guaranteed to please and will fit nicely in this baking dish.